Locally's Store Locator is an embeddable widget which can be installed on any web page on your site. 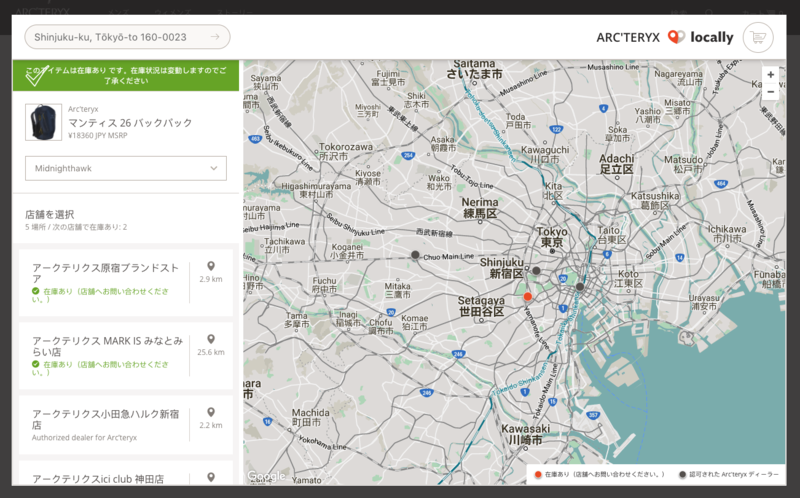 The widget displays a map of your authorized dealers nearest to the viewer's geographic location. It also allows your site visitors to view what is in stock, buy, and put products on hold directly from their local stores without leaving your web site. What specific dealer information do we need to supply to Locally? We will import your list and also provide recommendations on information on stores that you may be missing, have changed, or are suggested by our system. Can we set up an Auto-Sync Dealer List? With Locally, you're able to set up a dealer list that automatically updates, to keep data between your CRM and your Locally Store Locator perpetually in sync. As long as you have the required fields, you don't need to worry about following a strict template. We'll map your fields to ours, and ignore any other column(s). Categories can be sent in a single comma or pipe-delimited column, or can be spread out across multiple columns. Within your internal database, schedule your dealer list file to run automatically at your desired frequency (most companies run their list once a day). This file should be transmitted to Locally via SFTP. We can provide you with credentials, or you can provide your own. We can also grab a file from any https:// destination. Locally scans this destination and checks each new file for updates. If the file is identical, we skip it. If the file has changed, we absorb the changes into our system at that time. How do we embed the store locator into our site? Our recommended implementation is to add this to a standalone page on your site, like http://www.yourbrand.com/store-locator or similar. Embed the tool in-line so it fills as much of the page of it can. HOKA is a great example: https://www.hokaoneone.com/store-locations. Certain brands prefer to launch Locally as a modal. This is fine, but please let us know if you plan on taking this route so we can confirm it is being loaded properly. 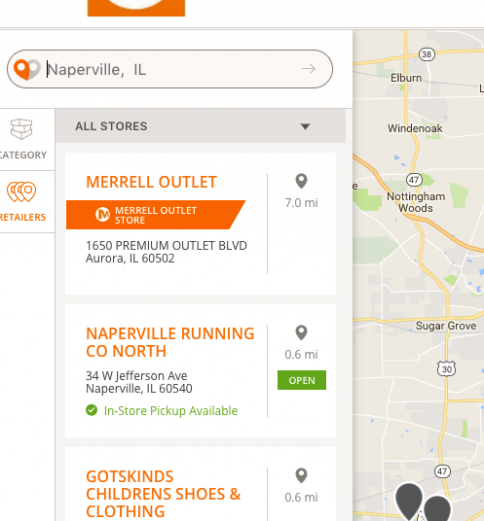 Can we customize the style and layout of the store locator? Absolutely. We only launch Store Locators that are fully customized to match the look and feel of your site. 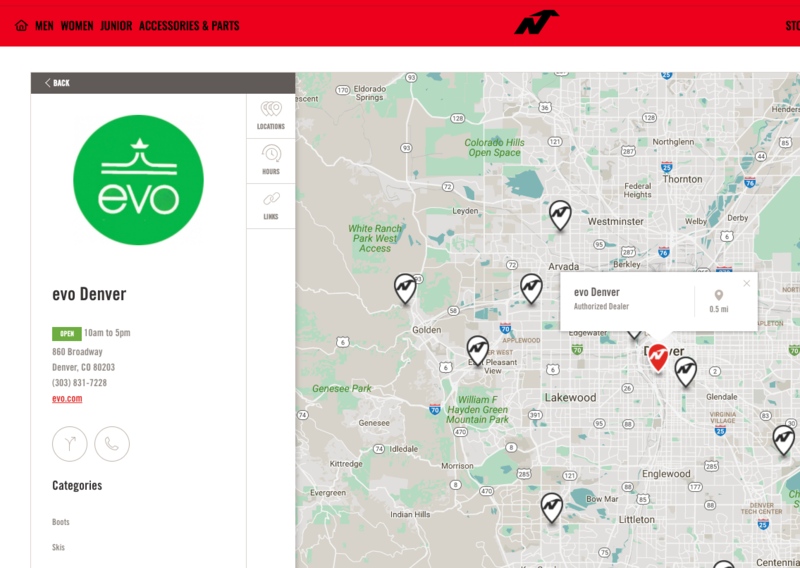 Take a look at some of our live Store Locators to see how we'll create a one of a kind map for your brand. Locally designs your map in coordination with you and your team. Can we highlight certain dealers? Yes! 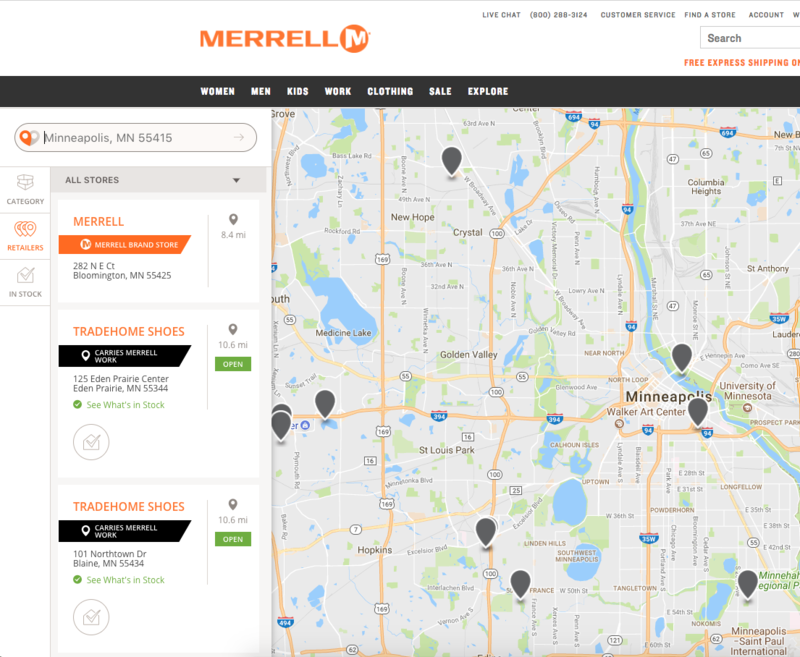 With Locally's "Enhanced Category" feature, you're able to call out any designated store or stores with an enhanced banner on your Dealer Locator. Do you have a Premium Dealer program? Call those stores out with a banner! Are you launching a new product line and want to give a shout out to the stores launching it with you? Call them out with a banner. Are you running a nationwide promotion or event with participating stores? This is the feature for you. Launching this is simple. You'll work with your Locally brand team to add a "category" column to your dealer list and tag each store with that designated category. Then, Locally will activate a banner with a custom category and icon (if applicable) for all stores tagged with that category, and you'll be live. If you'd like, you can also bias these stores to always appear at the top of results. Clek uses a banner to call-out dealers that offer car seat installations on their Locally-powered Dealer Locator. Brooks Running highlights and biases "local running stores" to provide a visibility boost to their specialty partners. Merrell calls out their own brand stores and outlets with a banner and custom icon. 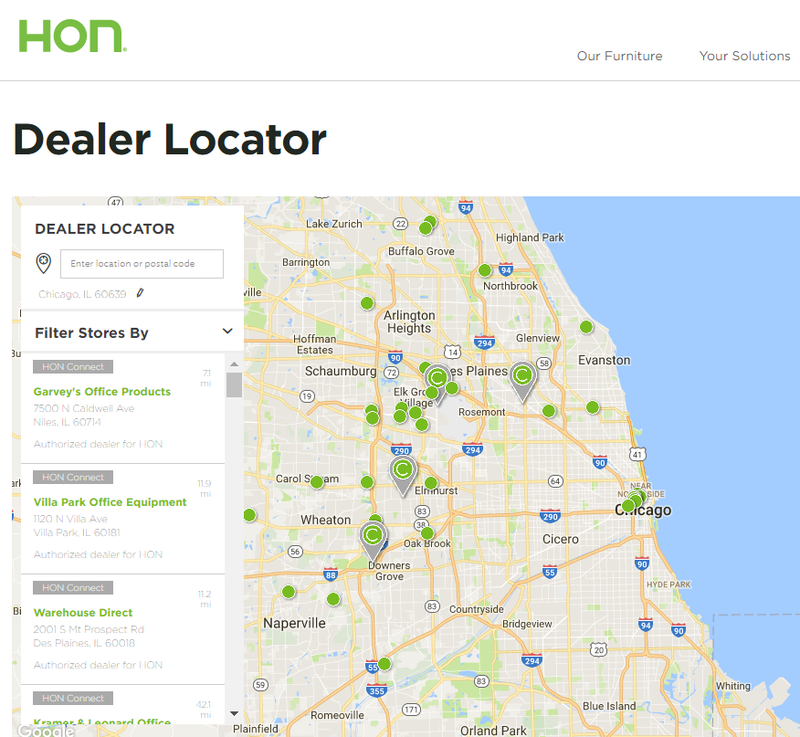 How can we manage our dealer list information via our Locally.com account? What custom features are available? 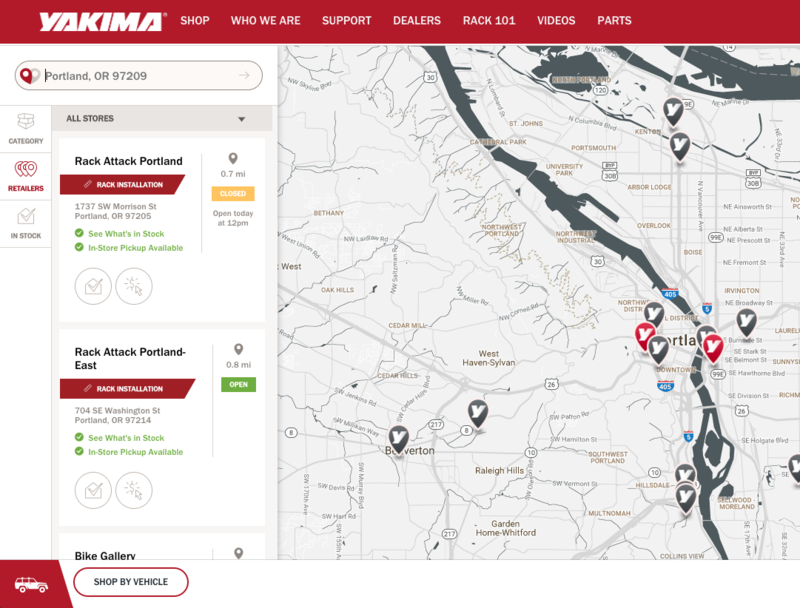 Our Store Locator has a number of custom options your brand can deploy to best dial in the experience for your shoppers and dealers. Easily add categories to each store to let shoppers filter by your desired segments. To do this, you'll simply add a category column to your dealer list. Thule allows shoppers to filter their results for the product line they're looking for. You can provide Locally with custom icons to use as well (not required, but they do look great). Raise the profile of any category of store with an "enhanced banner" to call attention to specific stores. You can use up to two different banners. Arc'teryx uses banners to highlight their own brand stores. 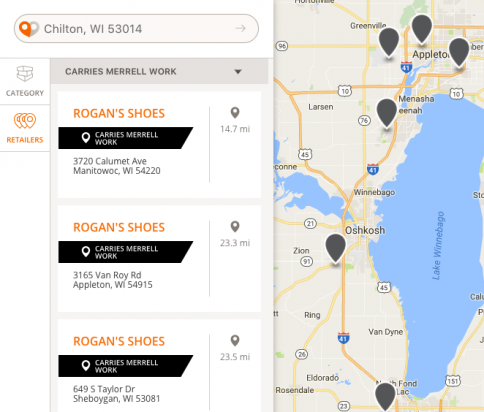 Merrell uses enhanced banners to highlight their own brand stores/outlets and dealers that are stocking the just-launched Merrell workwear line. Have any store or set of stores snap to the top of the store results in their area. Use this to bring attention to key dealers, dealers that offer certain services, brand stores, and more. Benchmade has two levels of advanced dealer designations, and uses biasing to ensure they appear to shoppers in the correct order. Their "Premium Plus" dealers always appear at the top, followed by their "Premium" dealers, followed by all other dealers. ASICS uses biasing to ensure their brand stores and outlets pop to the results in a given city. Some brands love showing as many links (website, social, etc.) for retailers as possible, others don't like any links leading off their site at all. So we let you choose: either suppress all links, or let 'em show. Didn't see what you were looking for here? It's possible it already exists, or is on it's way, or could be our next greatest feature. Contact us so we can get the conversation started. We look forward to hearing from you! How do you manage our dealers and keep their data up to date? 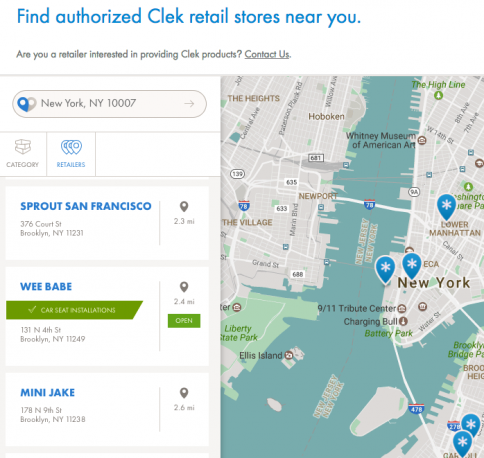 Without Locally, keeping store locators up to date is really complicated. 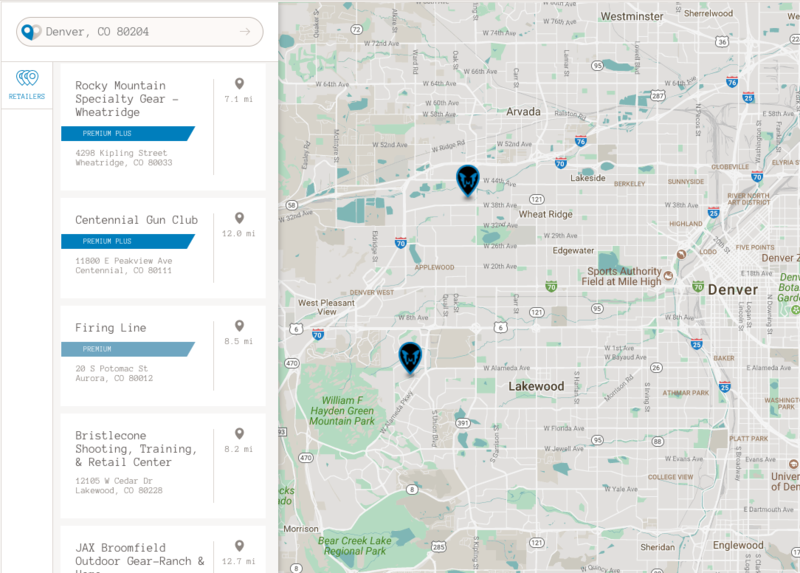 With Locally, your stores are managed by our Open StoreFront CRM which keeps your dealer list optimized with the most accurate store information possible, which means in many cases, your map will keep itself updated. Maintaining your list of authorized stores is simple. You can send us updates manually at any frequency and those changes are loaded in within 24-48 hours. You can also set up an auto-sync dealer list that automatically updates your list at your preferred frequency (as often as daily). Contact us to learn more about how you'll work with us to manage your dealer list. Can we have the store locator jump to a specific location when it is loaded? Add a jump_to parameter in your embed code query string. "jump_to": "New York City NY" or "jump_to": "10036"
Can we embed the store locator into our Facebook page? Yes. Just let us know when you are ready to install it and we'll send you to a private link (on Facebook.com) where you can click to approve it. 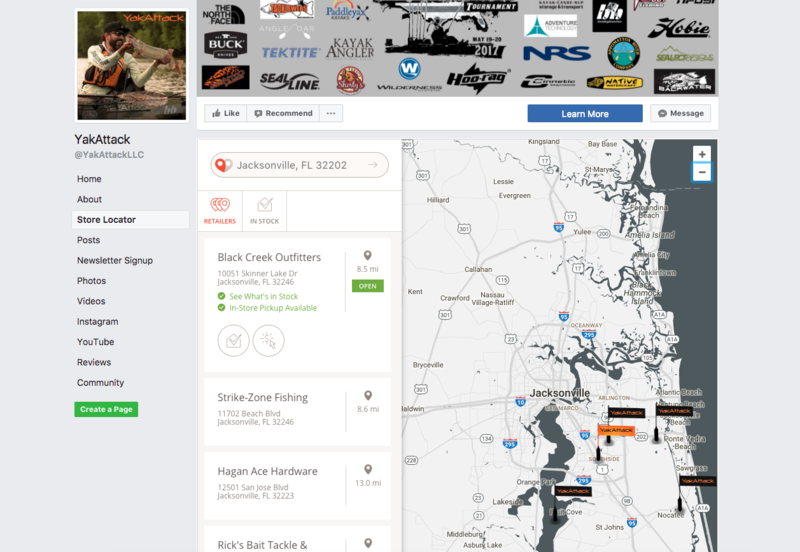 See how YakAttack added their Store Locator to their Facebook Page. Does the store locator have mobile support? Yes. 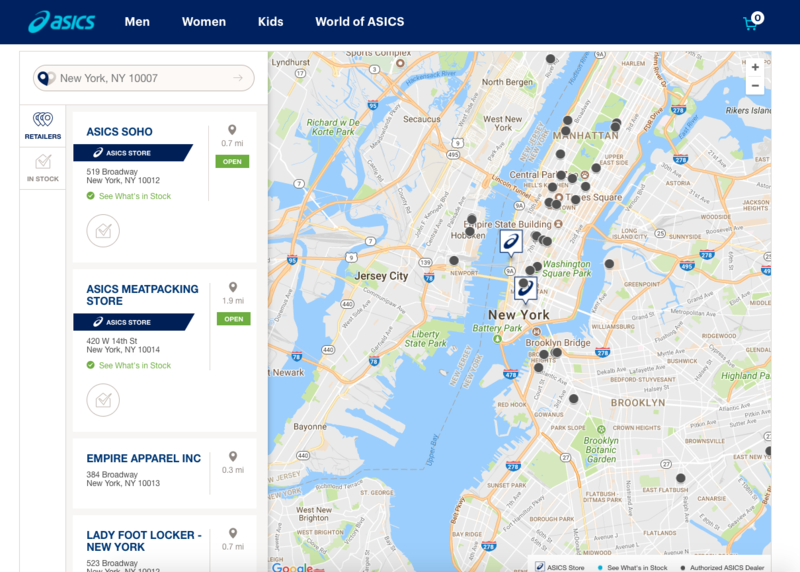 The store locator is 100% mobile responsive, and offers shoppers with the option of browsing in a map view or a list view. 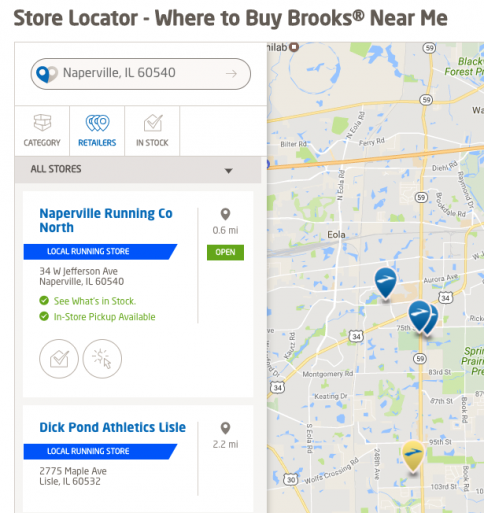 Try it out: load Brooks' Store Locator on mobile. Can we categorize our stores? What are the categorization options? Yes. Categorization is simple. You just need to supply an additional field in your authorized dealer list called categories. Just let us know how you want the categories to be labeled on your Store Locator. We support per-category custom icons, map markers, colors, styles, etc. We also support biasing certain categories so that preferred retailers float to the top of your stores list. Categories are optionally added as filters to your Store Locator. However they can remain hidden if you wish. Can we load our Store Locator pre-filtered to a specific category? Can we load multiple categories? Can we specify categories in the URL without adding them to the embed code? Yes. You can add a fragment identifier (hash) to the URL where the Store Locator is already installed. For example, if your Store Locator is at http://www.brand.com and you want to display only stores with the category outlet you can make a link to http://www.brand.com#lcly:outlet. Changing the hash will cause the Store Locator to reload with the category specified. Note: all categories existing in hashes should be prefixed with lcly: in order to work properly. Can we access the store locator's map information? What levels of International support are available? Many brands utilize Locally to provide a basic, english-only store locators that include basic store profiles for anywhere around the world. Any brand can activate this as a part of our standard pricing model. For example, load Brooks Running's Store Locator and change your location to Paris, France. Locally can provide shopper-facing translations for your store locator. If you need a language supported that isn't listed, contact us. 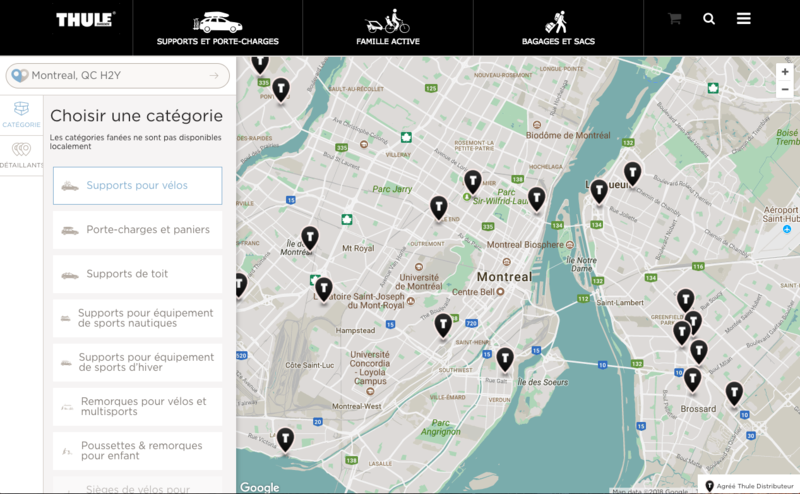 See how Merrell Canada or Thule uses Locally's Store Locator with French Canadian translations. 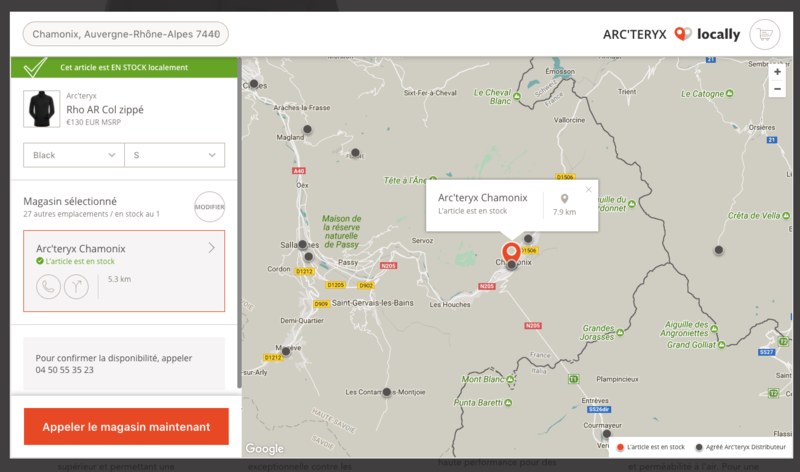 Or, load Arcteryx's Norwegian Store Locator to see how Locally supports Norwegian. Locally offers an intermediate level of international support that allows you to launch live inventory for brand-owned stores across the world on a locale-by-locale basis. As of January 2018, Locally now offers a comprehensive international support level, which allows your brand to power a Locally shopping experience for shoppers and retailers in Japan and Europe. This features complete shopper-facing translations, international product catalogs, currency support, and live retailer inventory feeds with retailer engagement and support. Brands can activate comprehensive international support on a locale-by-locale basis.